Will it or won’t it still be an Olympic class after 2020? Whatever the result of World Sailing’s anti-trust evaluations, there is no doubt that the Laser will retain its popularity if the numbers that took to an Arctic Rutland are anything to go by. Over 100 competitors arrived for the Noble Marine Laser Inland Championships at Rutland Water SC . . . It was cold, with some hail and the wind did reach 25 knots at times, but that did not deter them. 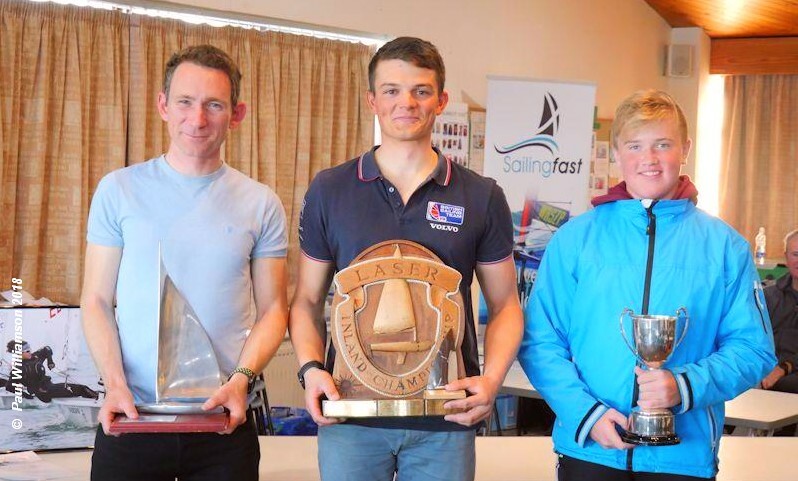 British Sailing Team’s Sam Whaley took the Laser Standard title with three back to back wins on the first day, then held off Jake Faren-Price on day 2, who took two wins, to finish ten points clear. In third place was Ben Flower, fourth Orlondo Gledhill (1st Master) and fifth Joseph Drake (1st Youth). In the Laser Radial it was a down-to-the-wire finish between Jon Emmett and Ben Elvin, with the title going to Ben Elvin. This pair shared the six race wins between them, three for Emmett on day 1 and three to Elvin on day 2 with Elvin taking the final race to clinch the title. In third place was Nick Welbourn (1st Youth), fourth Henry Beardall and fifth Arthur Farley (1st Junior). First Lady was Iona Dixon in eighth place. In the Laser 4.7 event it was also a tied finish . . .
Harvey Leigh taking the title with three race wins, including the final race. Second was Scott Forbes and in third place was Sam Dickinson. Fourth was Drew Gibbons, fifth Zach Lyttle (1st Youth) and in sixth Gemma McDonnell (1st Lady). See you at Paris 2024 ?